Turmeric is the golden child of super foods these days. It’s been used in Ayurveda and Chinese Medicine for centuries. 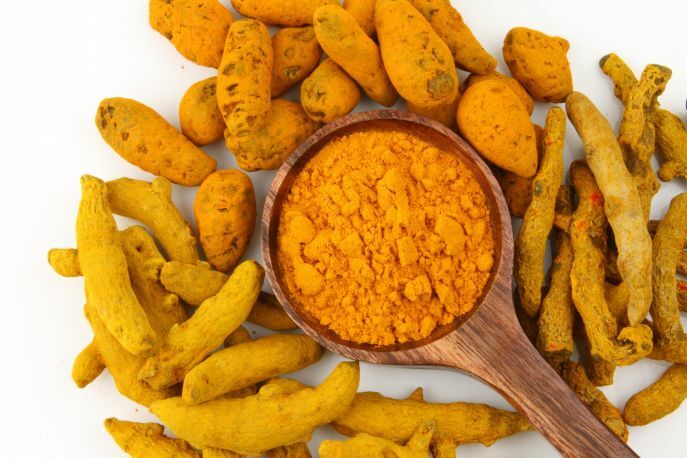 Modern science is discovering the benefits of turmeric now too. There are dozens of evidence based advantages to adding turmeric to your diet or curcumin, it’s beneficial compound, in the form of a supplement. Turmeric increases antioxidants in the body and has anti-inflammatory properties. 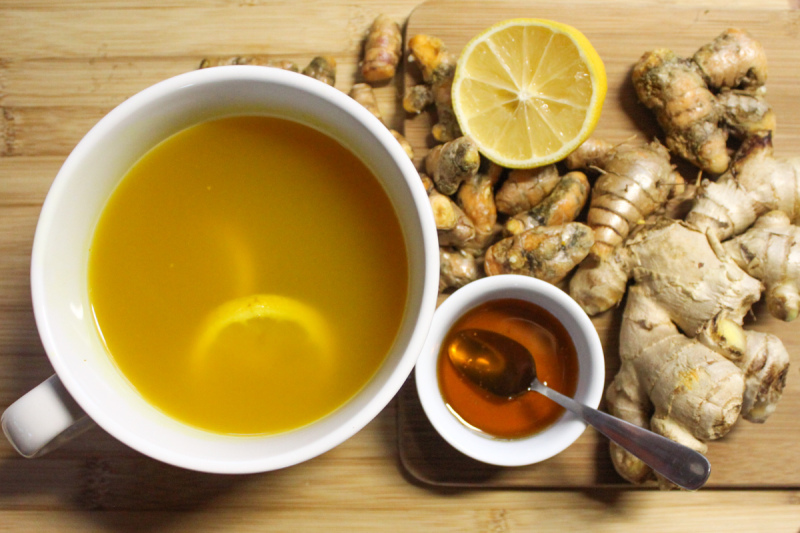 Ginger is everyone’s natural upset tummy remedy and is readily available fresh. Cinnamon has been shown to decrease the level of glucose that enters the bloodstream after a meal by essentially slowing down the breakdown of carbohydrates in the Digestive Tract. This can have a positive effect for those with diabetes or even people who want to lose weight. Black pepper increases the absorption of curcumin, the healthy stuff in Turmeric. The vitamin C in lemon is a favorite immunity booster, as well as improving absorption of vitamins and minerals. Finally coconut oil or ghee can help your body to process and use the curcuminiod compound since it is fat soluble. Set the water to boil in a pot over high heat. Add the turmeric, ginger, cinnamon and black pepper. Once it boils reduce the heat to simmer the tea for 10-15 minutes. Strain tea then add the lemon juice. Add the fat if desired. Sweeten the tea with honey if desired.